How I would love to visit the Braderie de Lile sometime! Europe’s largest flea market? Must be incredible. But what really gets me are those stacks of mussel shells. 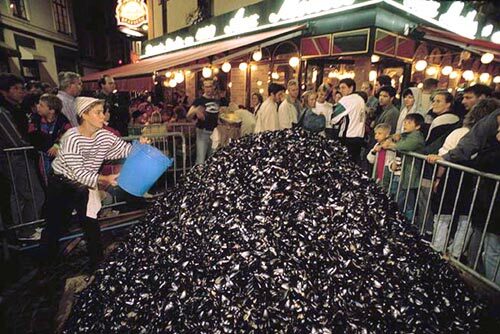 An entire city filled with moules frites and good beer? Nice.